For many people at midlife the pace of life is so frenetic and full that we do not take the time to "let the land lie fallow." But it is especially at this juncture that many want to ask some hard questions of God and of ourselves. Leonora Tubbs Tisdale presents this devotional book of reflections to help people at midlife reflect and navigate through some of these questions. 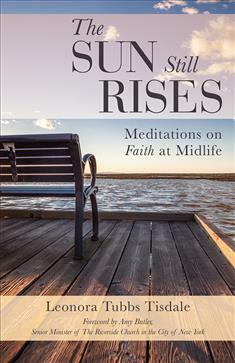 The fifty meditations in The Sun Still Rises take the reader on a journey through challenges that many people face at midlife, such as job loss, the quest for personal and vocational identity, illness (cancer), war, a parent's dementia, and the death of friends. It also traces the joys that come with rediscovering nature, relishing long-term friendships, and growing older. Each entry ends with a Scripture citation and questions for reflection.